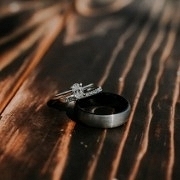 Planning a wedding and choosing your wedding photographer can be a tremendous task. So, hopefully the information below will make at least one decision, a no-brainer. 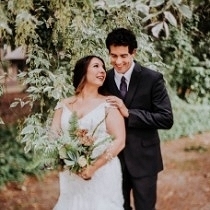 You have a mile long to-do list to accomplish before your big day and The Beatific Lens is dedicated to making sure your planning goes as smoothly as possible, your photographs capture the true story of your love, and your memories stay eternally vivid. The best wedding photographs take you back in time and give you the ability to relive your best day ever, in immense everlasting detail and evoke every wonderful emotion anew. This is exactly what I strive to do, present you with thoughtfully crafted imagery that leaves you in awe of yourself and your wedding day. Your gallery will provoke your senses, transcending the tale of your love into a timeless piece of art to be treasured by you and your loved ones for generations to come. 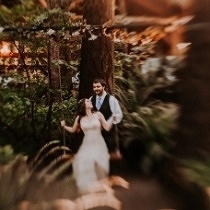 My editing aesthetic embraces the whimsical side of photography; prominent deep rich colors and outstanding moody tones that truly captures your enchanting love story. 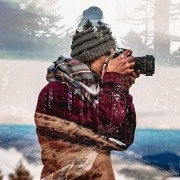 Shooting in any circumstance and crafting beautifully composed photographs in the environment at hand is all part of my creative technique. 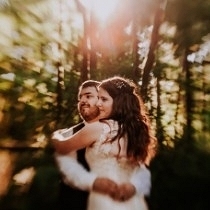 During your wedding I zealously pursue each and every candid moment and minute detail making sure every memory is marvelously preserved and captured in a uniquely personalized way. My posing for portraiture is centered around natural movement and authentic reactions, personifying the love you share with one another and revealing the magic in the air. 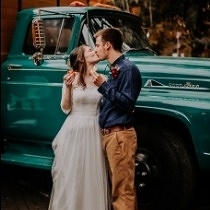 A big part of my process is getting to know my couples as I sincerely believe that the photographs from one of your biggest days ever, should not only make you feel incredible about yourself, but also genuinely embody who you are, perfectly encapsulating the love you share with one another. On your wedding day, I am a calming presence to combat the chaos and am there for you whenever you need me. I am an open book who loves to chat; I just adore listening to all of your stories and getting to know the real, raw you. And with that, I enthusiastically await making your acquaintance and assisting you in designing the wedding of your dreams. The truly custom package built by you, for you! After the wedding, put on your wedding attire again and let's head off to a gorgeous location to capture even more spectacular photographs. This sessions allows us the time to craft truly unique and stunning images in epic locations. In addition to creating dazzling photos, we spend our time goofing around and getting to know one another better. This allows me to determine your most flattering angles and leaves you feeling confident and ready for your wedding day. Capturing all your cherished moments and the sweet little details during your dinner and toasts, The Beatific Lens has got you covered in all departments of merriment. A second photographer chosen by The Beatific Lens will be present during the most meaningful parts of your day. They will work with and away from the me to capture different angles, ensuring there are no missed moments, and every reaction and detail is phenomenally captured and skillfully documented. Exquisite albums thoughtfully crafted, wrapped in leather or velvet or with your favorite image printed on wood or metal and bound with linen. 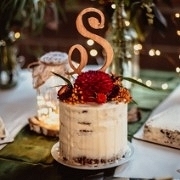 These albums are the final lasting physical piece of your wedding day, and it is for this reason that I work diligently to personalize each album to embody the couple's unique aesthetic. 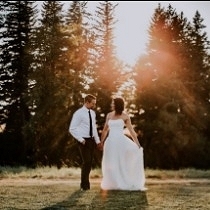 Travel fees are required for weddings located outside of the state of Oregon or for any weddings that call for over night stays or flights. International travel is subject to higher prices to cover expenses. We've met, gotten to know one another, and discussed the beautiful details of your special day. Now you've decided to book! This is the time when I send over a contract for you to review and sign. 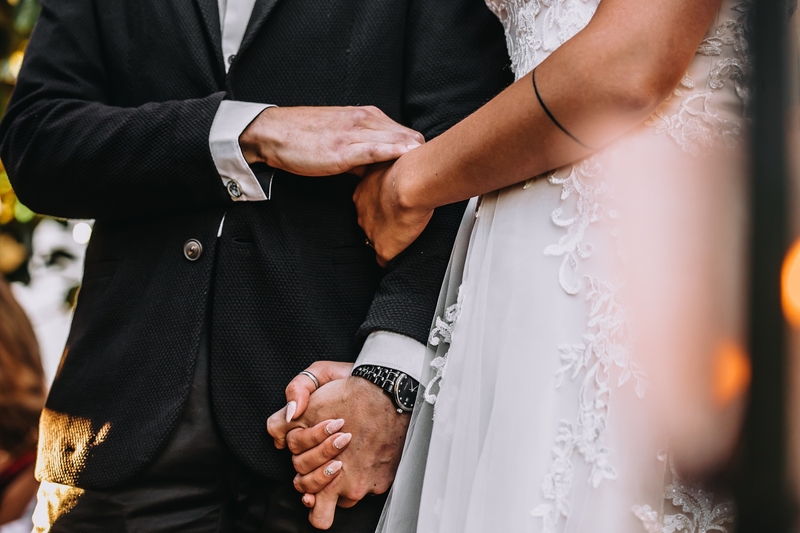 Your wedding will be split up into two (or more) hassle free payments, the first of which is a 30% non-refundable reservation fee* that secures my services for your wedding date and is due within 14 days of signing the contract. The remaining amount will be due no later than 30 days before the date of your wedding.